"Yeah right! There's no way it will pay for itself!" Wait right there, lets use some science to prove other wise. There's not doubt that it will not only pay for itself in no time, but also give you money. Doesn't make sense? Follow along and I'll show you how a variable speed swimming pool pump can actually make you money! Variable speed swimming pool pumps are the first of its kind to use permanent magnet motor technology. Because of this fact alone it's going to be saving you money. How much? Around 30% or so simply because it's a more efficient motor. So that means that if you hooked up the right variable speed pump (Pentair) right next to a single speed pump running the exact same speed for the exact same time you can expect to see about a 30% savings. How cool is that? That is not even taking into consideration the fact that we can lower the RPM's to even save MORE money. The really cool thing about this pump is you get to dial it in according to YOUR system. For instance, there are some pieces of equipment that need to have a minimum flow rate in order to function. Some examples would be a heater, salt cell or something like a waterfall to name a few. 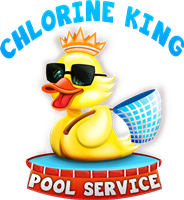 All you have to do is dial the speed to whatever component of your pool requires the highest amount of flow and you're golden. Anything above that is just wasted energy. Good luck trying to do that with a single speed pump! 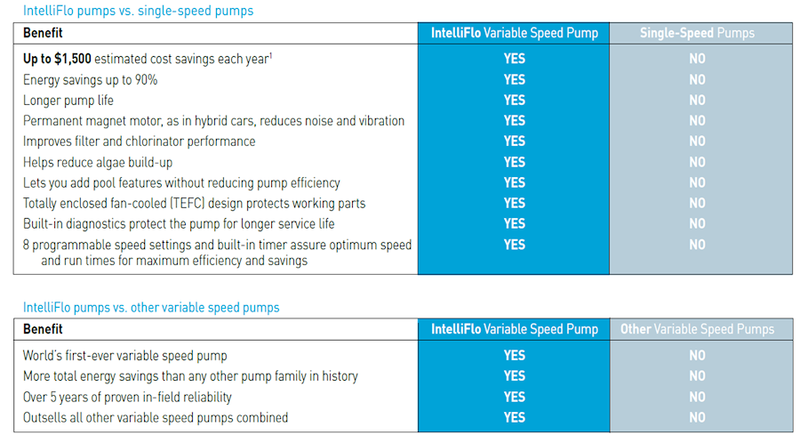 Based on all of this here are some realistic annual savings you can expect to see when comparing the Pentair IntelliFlo Pump to a single speed 2 HP pump in a 20,000 gallon body of water. The figures below are based off both 6 and 12 hour runtimes. $0.15/kWh you can expect to spend $620 t0 $1,360 more per year for a single speed pump. $0.20/kWh you can expect to spend $825 to $1,810 more per year for a single speed pump. $0.30/kWh you can expect to spend $1,240 to $2,710 more per year for a single speed pump. Of course there will be slight variances based on your system such as your plumbing (hydraulics) and other pieces of equipment like single speed pump models, etc. You can expect to see your variable speed pool pump pay for itself between years 1 and 2. Now that is one of the best returns on investment that I know of on this planet. Then year after year you're literally pocketing the extra money. That's right, the pump is MAKING you money! Click below to find out for yourself! Also below I discuss with Fred Horowitz of Pentair Pool regarding energy efficiency.